Smartphones, smart homes and smart cars – so why not smart bikes? Technology has experienced considerable development across many fields over the last few years. This is also the case in the automotive sector, as Internet of Things or Connected Car have become the latest buzzwords. As a provider of innovative electronic accessories for the custom bike range, we are setting out to make this a reality for motorbikes, too. In doing so, we intend to “beam” older motorbike modifications into this new age. We are taking the first step towards fulfilling our aim by introducing the brand new m.unit blue. This is how we are going to make your bike smart! 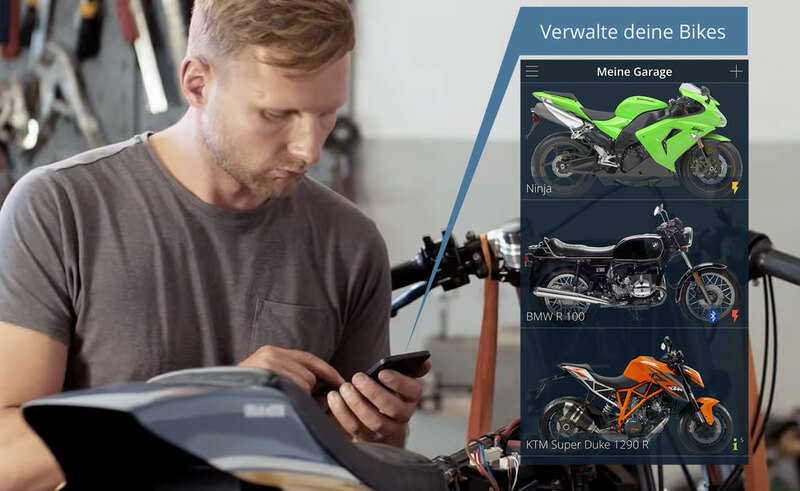 It’s now finally possible to connect your smartphone to your motorbike. The m.unit blue incorporates the full scope of functions from the previous model and uses the most up-to-date Bluetooth® technology to provide further exciting and useful features. The new m.unit blue’s one particular advantage over the m.unit v.2 is that it incorporates Bluetooth® LE technology. This means the m.unit blue can be connected to your smartphone using the m.ride App. This feature is truly unique for motorbike accessories. 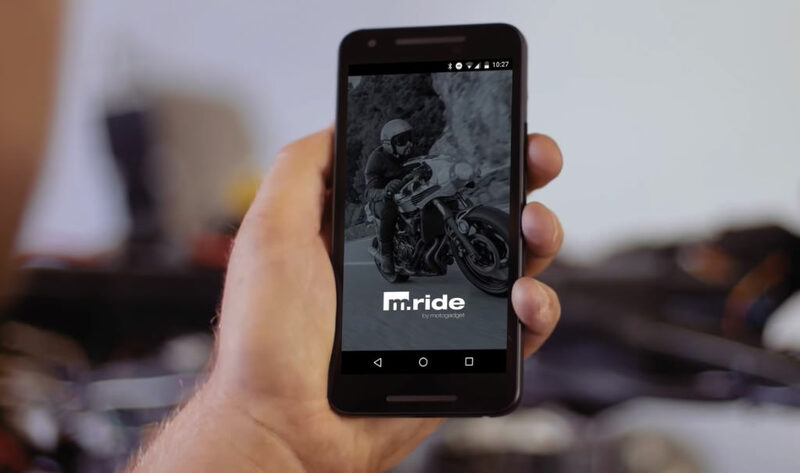 The m.ride App manages the entire setup and alarm system. Fault diagnostics can also be performed during operation and without having to remove the m.unit. 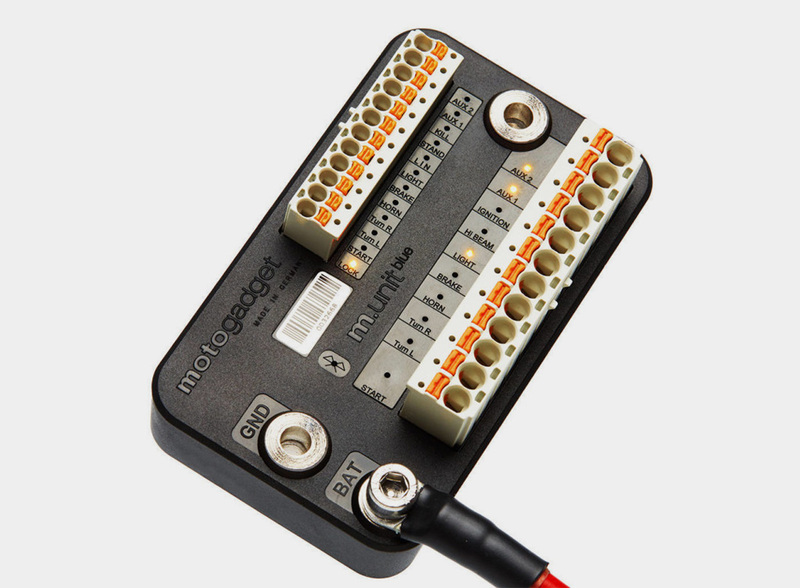 The secure, encrypted Keyless Go function can also be used. When this function is activated, you only have to approach your motorbike with your smartphone to have it ready to start.